Life can give you uncertainty at any time. A natural disaster can appear at any time without any notice. How gardening plays an important role in natural disaster and how? Survival garden plays an important role in such disasters. Planning for such a garden is a necessity for every family. 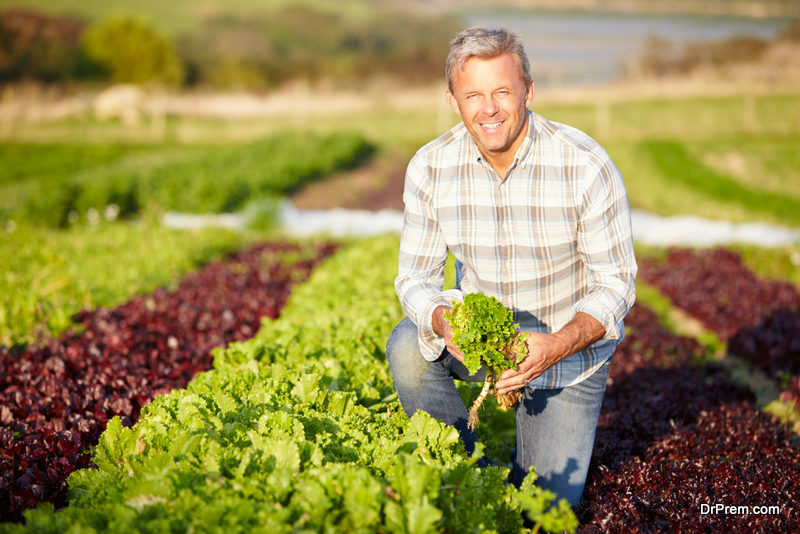 You need to smart enough to know how you can grow your own vegetable or fruits. If you have such a garden in the backyard, then you can save your family with immediate food options during an emergency. You can survive a drought if such situation appears. Also, you can save the seeds from the plants for further cultivation of fruits and vegetables. Legumes are the best option during an emergency. They are rich in protein, and you can pair it with other foods as well. There are 2 types of beans one is pole beans, and the other one is bush beans. Bush beans do not need a trellis, and that is why it is the best choice during an emergency. Pole beans use vertical space and good for a survival garden. You can even opt for dry beans or snap beans. You can store dry beans for long periods. You need to eat snap beans green and fresh. 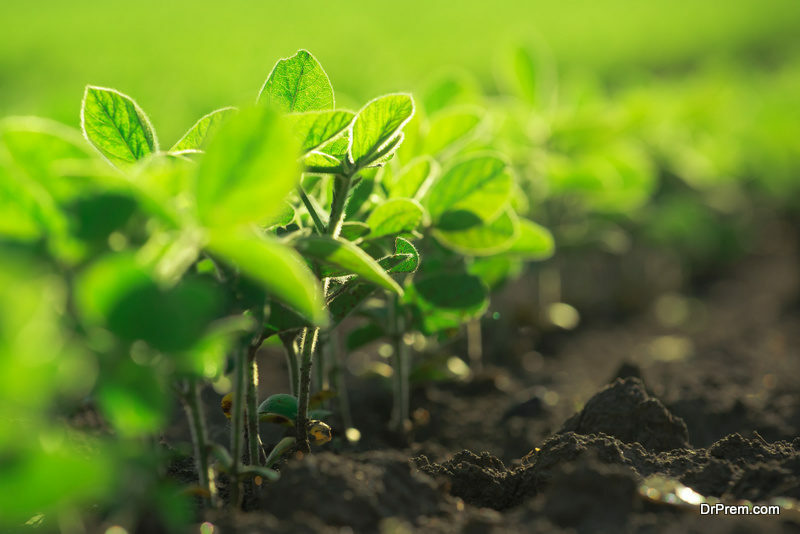 When the soil is warm, and there is no frost, then you can plant the beans. Every week you can plant them in batches. When you pick the plant, they produce more beans. At room temperature, you should air dry them for at least two weeks, and then you can have it. If you grow winter squash, then you can store it all through the winter. It helps you survive a drought if it occurs at any point in time. The space in between the squash seeds depends on the type of squash you grow. When you water, do not wet the leaves, but the soil should be moist. The seeds of winter squash are mature. You need to scoop them, wash the pulp and then dry. It is one of the highcalorie vegetables. It is a filling food, and there are other nutrients as well. It is very easy to grow. 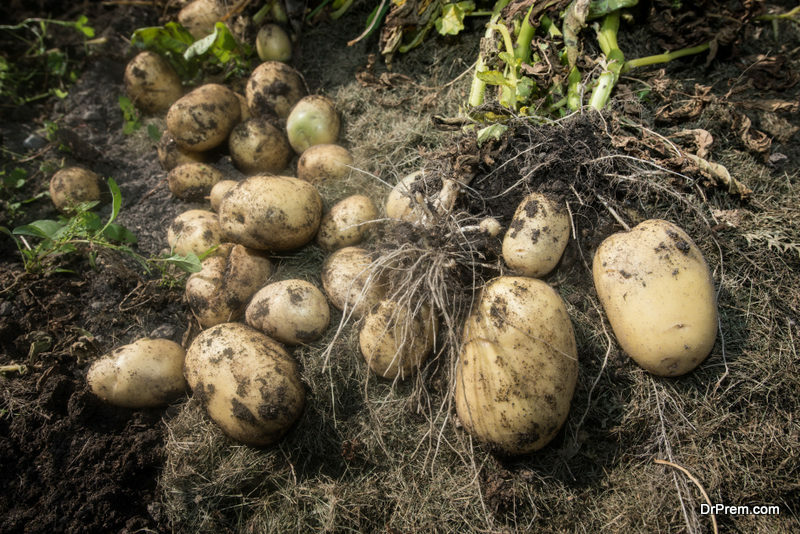 You can grow more potatoes if you buy potato seeds beforehand as per your climatic condition. You can plant the potato seed with 12-inches distance from each other. You can plant potatoes anywhere and even in the container. When potatoes grow roots, they grow more potatoes. Fresh beets come in orange, yellow and red in color. When they come out fresh from the garden, they look lovely. If you roast them with pepper and salt and then toss with balsamic vinegar and then have it as a smoothie. They are the perfect item for survival. In one cup it counts up to 60 calories. Tomatoes are very easy to grow in any area. They are delicious, and you can eat them in various ways. It is one of the best staples that has a lot of nutrients. You can make tomato ketchup to add extra flavor to your dishes. In a survival garden, it is the best vegetable to grow. First, you need to start an indoor area, and then you can move outside when the weather is warm. 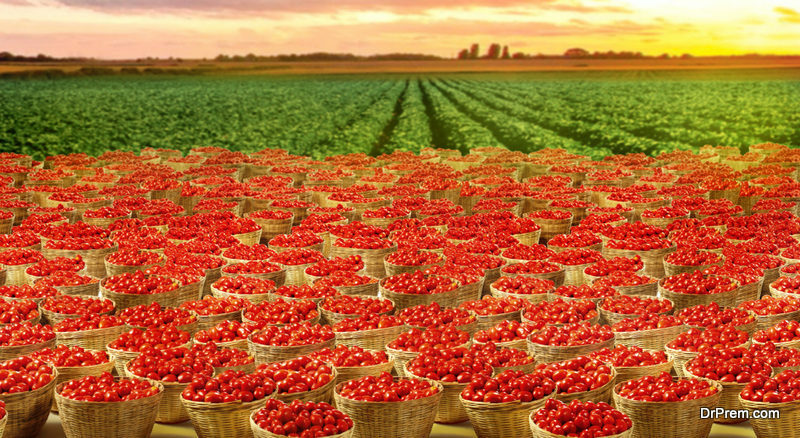 There is a wide range of tomato varieties so first, you should decide which variety you want to grow, and then you can save the seeds of that variety. When you plant the tomato stem, you can plant it underground to make the root system strong. For a week, you need to water the plant very deeply. Cut the tomato in two halves and then squeeze the seeds in a cup or a bowl. Then, add water and ferment the seeds for at least two days. Then dry the seeds and store them properly. It is not a vegetable but it has high-fat content than chicken eggs. They are rich in omega-3 fatty acids, and have lots of protein. They are very good for your overall health. It is great to grow a leafy vegetable in your survival garden. You can plant the lettuce all through the year. Keep the lettuce seeds in the shade. Once grown fully, you can cut the leaf to eat. When you cut the leaf, it will grow more leaves, and you can enjoy second, and third crop from that same plant. When they are completely dry, then you can shake the seed to separate from the stalk. You can have fresh corn from the garden. You cannot store the corn very well. You can grind the cornmeal for the winter time. It is rich in various nutrients and one of the best staples. They are very easy to grow, and count among of the high calorie vegetables. They take a great space during the growing season. 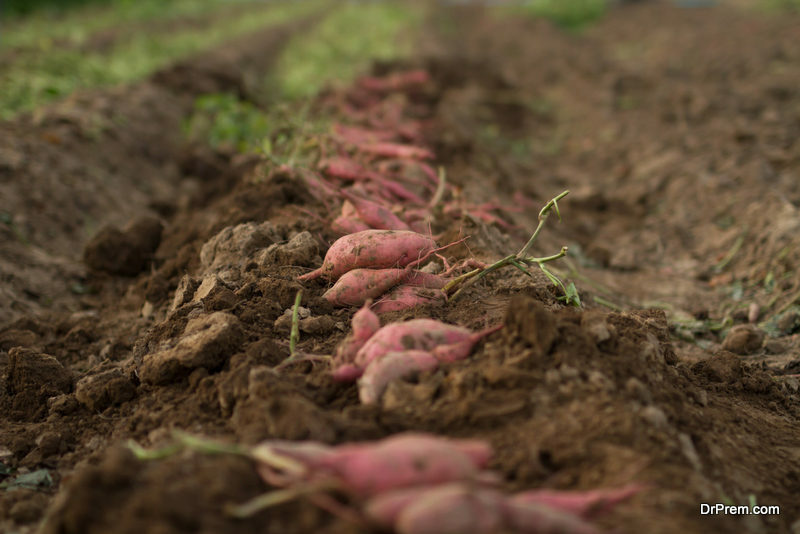 A minimum of 90 days is enough for growing sweet potato. You can store them in winters as well. They are very good for your health. It is a root crop related to parsley and carrot. It is good to taste when you roast, mash the veggie in soup. In one cup you will get 100 calories. You can grow all these vegetables in a survival garden. They are very easy to grow. Even if you do not have any knowledge, then also you can grow them. You can read plantation books or watch videos to get an idea on how to grow these vegetables in your garden. Also, these vegetables are great for your survival and give you the confidence to stay safe during the emergency period. So, there is nothing to worry and prepare yourself before anything worst happens. A survival garden will save you all circumstances, and you and your family will stay healthy and fit even during the time of disaster. ← Which Is The Most Efficient Renewable Source of Energy?